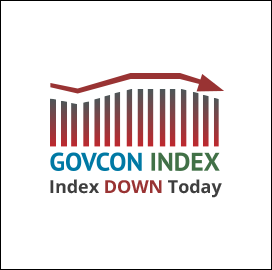 The Executive Mosaic GovCon Index (GCI) closed down for the first time in four days. 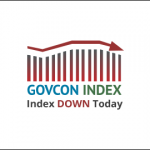 The major indices all closed up with the DJIA reaching a new high of 21,553.09, the S&P500 was up 0.19 percent, while the NASDAQ Composite gained 0.21 percent driven by Technology shares. WTI crude oil closed positive for the fourth consecutive day. WTI on the NY Mercantile Exchange moved up settling at $46.01 per barrel up 1.14 per as U.S. drawdowns increase.